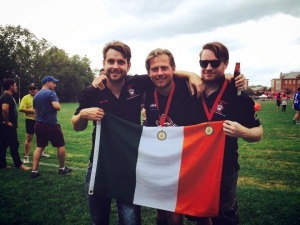 The Toronto Dingos will be celebrating our Irish connections on March 13th as we participate in the city's annual St. Patrick's Day Parade. The parade is celebrating 100 years since the 1916 Easter Rising, which led to Irish independence from Britain. The parade begins at Bloor & St. George and will march east along Bloor Street before progressing down Yonge Street to Queen, where it will head West to finish at Nathan Philips Square. The parade begins at 12pm, and the route takes approximately 1.5 hours to complete. There have been many successful Irish AFL players, including Jim Stynes who won the 1991 Brownlow Medal, as well as three players currently on AFL lists. 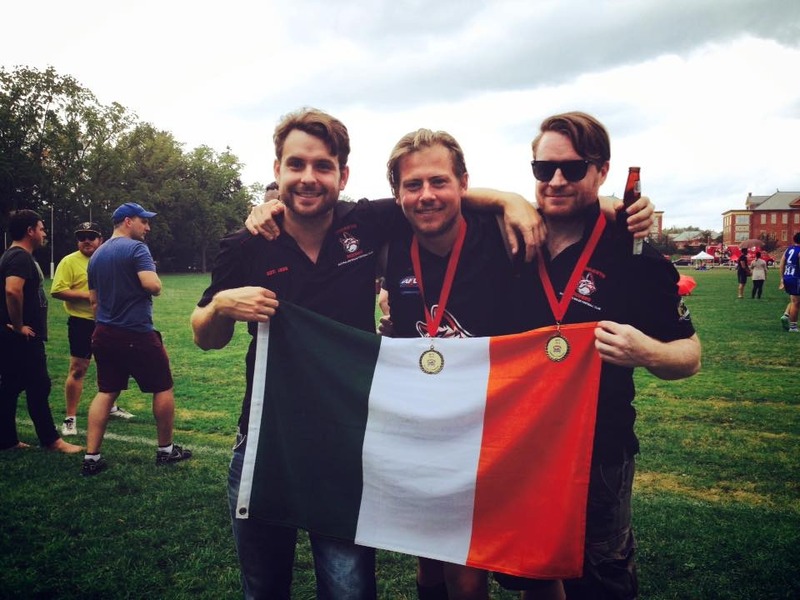 The Dingos have a large Irish contingent that has continued to grow in numbers in recent years, and are eager to continue to grow our Irish playing group in the coming seasons. Look for us sporting the red and black in the parade as we hand out stickers, flyers, and kick the footy around. If you're interested in joining the Dingos in 2016 or participating in the parade, please contact recruiting@torontodingos.ca. We're always recruiting!